Clean, modern, user friendly website. 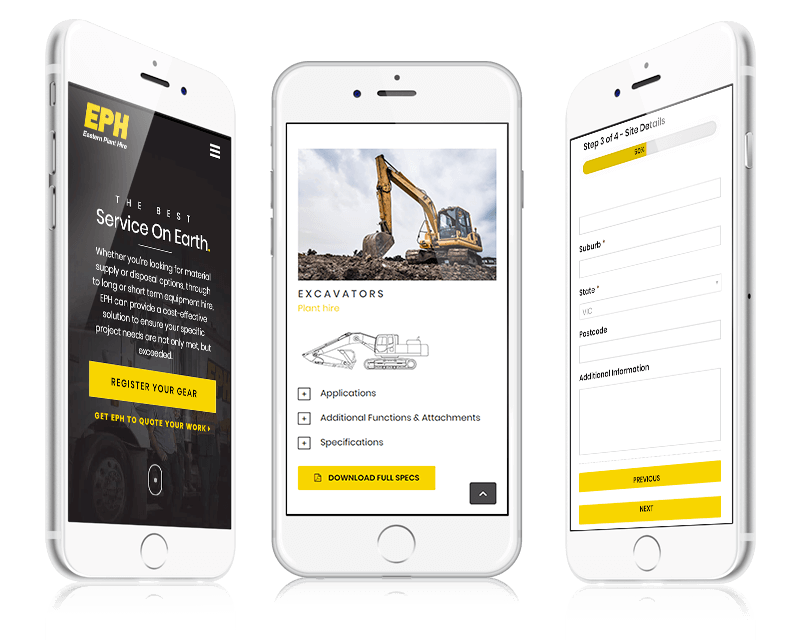 Working with the Eastern Plant Hire team, our challenge was to design a clean and user friendlysite that reflected EPH’s professionalism and vision. We think we delivered! With multiple versions of the design outputted to deal with mobile & retina devices. The latest techniques available have been used so that the EPH’s imagery looks great no matter the device. Easy to use mobile responsive forms. Step by step complex forms with smart integration to EPH’s internal systems. We trained EPH’s stuff on how to update and manage the website themselves. EPH’s high quality of work speaks for itself. However, we added a little extra impact by giving the Project page a featured image background, Subtle and smooth transitions are used as you are taken on a journey through EPH’s work.